Following is a guest blog by “Fibro Warrior” Melissa Swanson on her relationship with mindfulness. Read about how her setbacks became the foundation for understanding mindfulness. The day that I started to write this article it was an amazing coincidence I was watching 60 minutes with a interview with an expert on mindfulness. I reached down into the basket I keep next to my living room chair and pulled out the his CD. I had purchased it well over a year ago when I had been told probably for the third time by my friend that I should try it. I can not count how many speakers or friends have told me to try mindfulness. Try asking a Type A person with ADD to lay down, shut your mind off and concentrate on your breathing while releasing each part of your body. I was getting stressed out just trying relax. My mind would wander to the noises being made in our living room, the things I needed to do, then “STOP IT” “CONCENTRATE”. “Relax, breathe, shoulders, arms, “need to email the Volleyball parents” Ugh!!! Each and every time I would try to relax I would get so stressed because I couldn’t focus on only my breathing and relaxing my body. While attending the NFMCPA LAPAN advocacy training seminar, Dr. Michael Olpin was one of the speakers. Dr. Michael Olpin is a professor of Health Promotion at Weber State University and is the director of WSU’s Health Promotion Program. He is also director of the WSU Stress Relief Center. He earned his Ph.D. in Health Education from SIU, and his Master’s and bachelor’s degrees in Health Promotion and Psychology from BYU. We were told his focus is stress management, mind/body wellness, mental & emotional wellness, and wellness coaching. What he said next was the turning point for me. “It is okay for your mind to wander”. “The important thing is to not get upset if you lose focus”. “Close your eyes, let your breath out, feel your body go limp and start counting 1,1,1. Okay for the next 5 minutes we are going to try it. Sitting in this uncomfortable chair in a conference room with all these people my body actually began to relax. Yes, it did wander but as soon as I caught myself I started again. I had finally discovered something that worked for me. I needed to have someone tell me it was okay to get off track without stressing about it. Also, like every other treatment, medication, diet we have to keep trying new things until we find the right one that fits us. I now have success with the CD’s that I had stressed out every time I had tried. 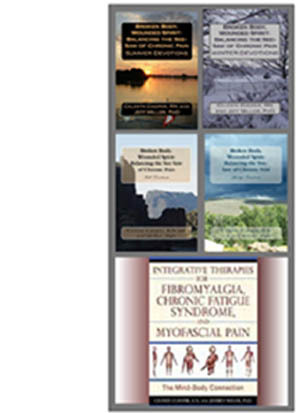 The last issue of the NFMCPA’s magazine Fibromyalgia & Chronic Pain Life’s Winter 2014 issue has a very informative and helpful article by Kim Jones and Mary Casselberry. In addition to Dr. Michael Olpin’s website and his books ~ “Unwind; 7 principles for a Stress-Free Life & “The World is Not a Stressful Place; Stress relief for everyone” my friends also recommend Jon Kabat-Zinn ~ Full Catastrophe Living Using the Wisdomof Your Body and Mind to Face the Stress, Pain and Illness and Dr. Bernie Siegel. 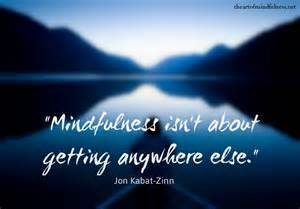 It seems that everywhere I turn someone is talking, tweeting or blogging about the benefits of Mindfulness. I don’t know about everyone else but my life is so busy once I trained myself on how to do it finding the time was the next hurdle. I found the time. I chose to practice mindfulness during the time that I am waiting in my car for my Teenager after practices and games, in my office at school during my lunch and even as I soak in the bathtub. It is a cold winter and I do need to find time ways to help my body get through until Spring and Mindfulness is one of those ways. How can mindfulness work in your life? Melissa Swanson is a chronic pain patient, advocate, and author. through her Facebook page, she offers positive encouragement, medical information, resources, and support to 10,000 + fibromyalgia and chronic pain patients. In addition to her own blog, Melissa has been published in "Living Well with Fibromyalgia" and the NFMCPA "Advocate Voice". Graduate of the 2014 Class of Leaders Against Pain Scholarship Training sponsored by the National Fibromyalgia & Chronic Pain Association. 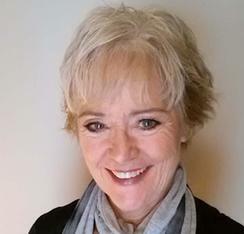 Member of the Leaders Against Pain Action Network. I give many thanks to Melissa for sharing her heartfelt story on mindfulness and her personal journey with chronic pain. Her support means to world to me as a friend, fellow patient, and author. I couldn't possibly think of a better way to introduce you to the helpful tips in Broken Body, Wounded Spirit: Balancing the SeeSaw of Chronic Pain, Spring Devotions. Thank you Melissa for being my friend, for your collaboration, for your leadership and your support.